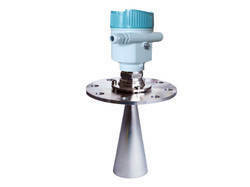 Manufacturer of a wide range of products which include radar level instrument and ultrasonic level transmitter. Radar Level Instrument is based on the principle of measuring the time required for the microwave pulse and its reflected echo to make a complete return trip between the non-contacting transducer and the sensed material level. Then, the transceiver converts this signal electrically into distance/level and presents it as an analog and/or digital signal. The transducer’s output can be selected by the user to be directly or inversely proportional to the span. All Radar Level Instruments use an antenna to broadcast or send radio signals to the process liquid whose level is to be determined. Radar Level Transmitter for continuous monitoring of liquids and slurries in storage and process vessels including corrosives or aggressive materials. We are instrumental in offering a qualitative range of excellent quality Ultrasonic Level Transmitter¿¿to the customers. 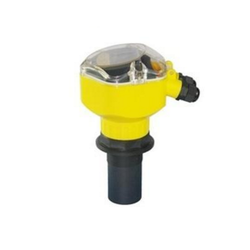 Widely used for the continuous level measurement of liquid, these non-contact ultrasonic level transmitters are procured from the reliable vendors of the market.